No one likes to be caught in an unlikely and unlucky circumstance involving vehicles. Whether it be getting into an accident or bursting a tire, it is never an easy task to get out of vehicular hassles. 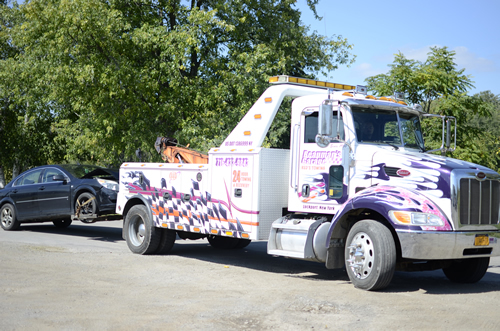 This is why a car or truck towing service, such as Beauman’s Towing, is important. No, it’s not just that time when you get towed for wrongful parking---towing can be helpful to you too. What kinds of vehicles can be towed? Most towing service companies are not equipped to handle vehicles of various sizes and builds----trucks, RVs, ATVs, SUVs, motorcycles, even Heavy Equipment and Trucks. Does a towing service company offer other services than just moving the vehicle? Aside from moving your vehicle from the scene of an accident (or whichever place your car will be picked up from) to the repair shop or junkyard, some companies also offer add-ons such as Roadside assistance, Vehicle storage, and Auto repair. Do these companies have similar prices? Service rates from different companies are fairly similar. The difference in pricing often varies depending on the following factors, such as the weight of the vehicle, type and size of the vehicle, distance to be travelled, and if your vehicle needs additional services. What do I need to look for in a reliable towing service company? Do they have the right type of equipment for the job? Do they have employees that are qualified and licensed? Responds to emergency calls 24/7? Highly recommended by family, friends or people you trust? Gives reasonable pricing, complete with an explanation should you ask for it? We have been your neighborhood automotive shop that people have relied on for top notch workmanship, friendly service and quality name brand products, for over 50 years.